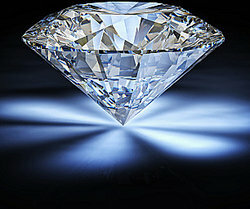 Luxury goods are products that are not essential but are highly desired and associated with wealthy or affluent people. They are bought for several reasons: to support self-worth and status, or for the product's quality and craftsmanship. Burberry - This is a British luxury brand that sells clothing and accessories, and is especially known for its trench coat. Cartier - This brand sells primarily watches and jewelry. Chanel - Chanel was founded by Coco Chanel in France. It sells clothing, purses, perfume, and cosmetics. Fendi - This company was founded in Italy and started out selling leather and fur products. Now its line also includes watches, eyeglasses, and fragrances. Gucci - The House of Gucci sells Italian clothing and leather goods. Hennessy - This is a French winery that started in the 18th century. It is the world's largest producer of Cognac. Hermès - With its headquarters in Paris, it sells clothing, jewelry and leather goods, particularly handbags and luggage. Moët & Chandon - This French winery produces more champagne than any winery in the world and is famous for Domaine Chandon and Dom Perignon. Rolex - This company has headquarters in Geneva and sells high quality watches. It is the biggest seller of luxury watches in the world. Louis Vuitton - Founded in France on the 19th century, Louis Vuitton sells clothing, handbags, jewelry, shoes, and watches. Champaign trunk, cost $54,000 - The material is corrosion proof and the interior is red calfskin. Francois Bauchet designed the ice bucket. Box of chocolates, cost $10,000 - The box was designed by Patchi and has suede leather with linings of gold and platinum. The chocolates are wrapped with Indian silk. Clive Christian perfume, cost $232,645 - The bottle is cut glass crystal and has a five carat diamond adorning it and a collar made of 18 carat gold. Crystal bathtub, cost $790,000 - This was made from a single piece of crystal from the Amazon rainforest. It took six months to carve and was made by Baldi, an Italian company. Diamond-encrusted putter, cost $161,000 - This putter is decorated with 378 diamonds, 240 rubies, and has an 18 carat white gold head. This is definitely a collector's item rather than a putter to use. Diamond Manicure, cost $51,000 - This manicure places a total of 10 carats worth of diamonds on your nails. Eco-friendly bed, cost $84,425 - Vi-Spring had this bed made completely by hand. It contains 6,240 springs topped with blended lambs wool and cotton, silk, and cashmere. Fridge, cost $15,729 - This is adorned with 7,000 Swarovski crystals and was made by Gorenje. Man's shirt, cost $44,740 - Made by Eton, a Swedish shirt maker, this shirt is made from Egyptian cotton and has colored diamonds. Sandals, cost $1,600,000 - These were designed by Stuart Weitzman and have a total of 120 carats of rubies adorning them. The rubies are set in red satin stilettos which are framed with pure platinum. Tea, cost $7,864 per Kilogram - Ambootia Snowmist tea leaves come from the Far East that are harvested before sunshine and are processed in a special way. As you can see, these items are very expensive and made by famous designers or with high quality materials. They are definitely prime examples of luxury good. "Examples of Luxury Goods." YourDictionary, n.d. Web. 23 April 2019. <https://examples.yourdictionary.com/examples-of-luxury-goods.html>. Luxury goods are products that are not essential but are highly desired and associated with wealthy or affluent people. They are bought for several reasons: to support self-worth and status, or for the product’s quality and craftsmanship.